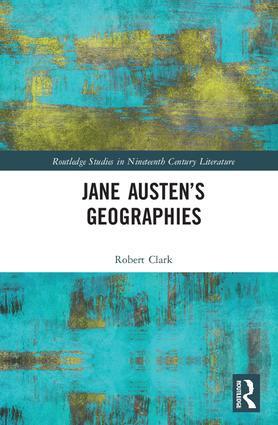 When Jane Austen represented the ideal subject for a novel as "three or four families in a country village", rather than encouraging a narrow range of reference she may have meant that a tight focus was the best way of understanding the wider world. The essays in this collection research the historical significance of her many geographical references and suggest how contemporaries may have read them, whether as indications of the rapid development of national travel, or of Britain’s imperial status, or as signifiers of wealth and social class, or as symptomatic of political fears and aspirations. Specifically, the essays consider the representation of colonial mail-order wives and naval activities in the Mediterranean, the worrisome nomadism of contemporary capitalism, the complexity of her understanding of the actual places in which her fictions are set, her awareness of and eschewal of contemporary literary conventions, and the burden of the Austen family’s Kentish origins, the political implications of addresses in London and Northamptonshire. Skilful, detailed, and historically informed, these essays open domains of meaning in Austen’s texts that have often gone unseen by later readers but which were probably available to her coterie readers and clearly merit much closer critical attention. Robert Clark is founding editor and editor-in-chief of The Literary Encyclopedia. He has published essays and books on Defoe, The Spectator, Fielding, Fenimore Cooper, Hawthorne, Melville, Dickens, Henry James, Angela Carter and Michael Oondatje. He edited Jane Austen’s Emma (Everyman 1995) and A New Casebook on Sense and Sensibility and Pride and Prejudice (Macmillan 1994) and has published essays on Austen and farming, the enclosures, landscape gardens, and on British imperialism and Mansfield Park.